When you think of travelling through Switzerland, images of breath-taking natural scenery and exciting cities full of art and culture no doubt come to mind. 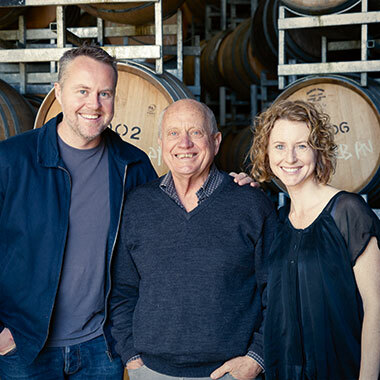 But do you also picture stopping at cellar doors to taste world-class wines? If not, you need to expand your Swiss horizons, because this diverse country is home to over 200 types of vines, at least 40 of which are indigenous and have histories dating back to ancient times. What’s more, with only extremely limited quantities made, you’ll only find 1-2% of Swiss wines outside their homeland. 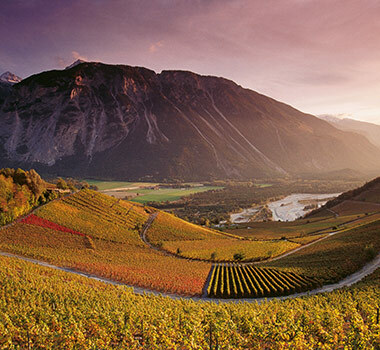 There are seven wine regions throughout German-speaking, French-speaking and Italian-speaking Switzerland: Eastern Switzerland; Geneva; Lake Geneva Region; Three Lake Country; Ticino; Valais; and Graubünden. 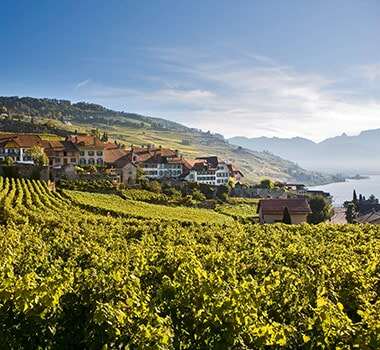 For winelovers who like a dose of history with their tastings, the Lake Geneva region is home to the UNESCO World Heritage Listed Lavaux Vineyard. Dating back to the 11th century when Benedictine and Cistercian monks called the area home, this fascinating site features 14 kilometres of terraced vineyards stretching above Lake Geneva. These incredible vines are still producing wine, with Chasselas, a full, dry and fruity white, the most common. For keen walkers, two routes wend through the region, both taking around two hours and starting at Grandvaux station with one finishing at Cully and the other at Lutry. For a more sedate tour, there are also two miniature train excursions on either the Lavaux Panoramic or the Lavaux Express. As well as Chasselas, a visit to the Lake Geneva Region will see you sampling unique expressions of Gamay and Pinot Noir. Further south-west in Geneva itself, you’ll also find Chardonnay, Riesling-Sylvaner (Müller-Thurgau), Pinot Blanc, Aligoté via Sauvignon Blanc and Pinot Gris through to Gewürztraminer and Viognier Gamaret, and in the reds, Merlot and Cabernet Franc. 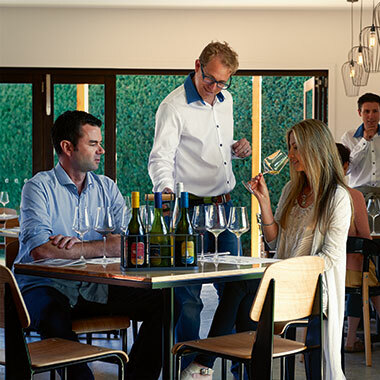 For another lakeside wine experience, the Three Lake Country will see you again savouring Chasselas, as well as Pinot Gris, Chardonnay and Pinot Noir. Home to the highest vineyard in Europe at 1,150 metres above sea level, Valais is another region that sees Chasselas at the top of its whites list, while Pinot Noir is the most common red. However, you’ll also find varieties here that few outside the area have heard of, including Petite Arvine, Amigne, Humagne Blanc, Humagne Rouge and Cornalin. Heading further east and south of the Alps is the Italian-speaking Ticino region, where 90 per cent of the wine produced is Merlot. They even make a white called Merlot Bianco. 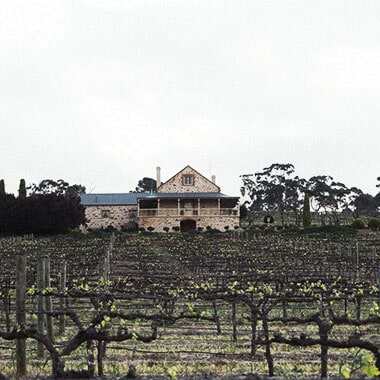 Less common red varieties include Bondola, Pinot Noir, Cabernet Sauvignon and Cabernet Franc and in the whites, Chardonnay, Chasselas, Sauvignon and Semillon. 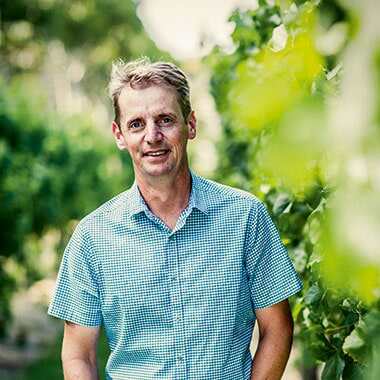 “Great things come in small packages” is the motto of German-speaking Switzerland where Pinot Noir and Riesling-Silvaner are the most common varieties. 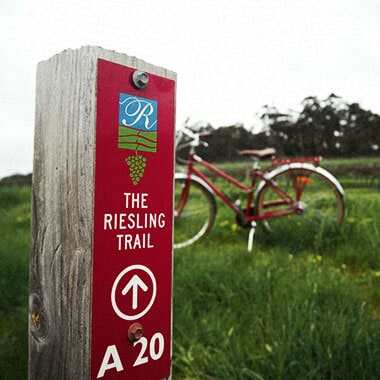 Local specialties include Räuschling and Completer, along with Chardonnay, Pinot Gris and Sauvignon Blanc. Given its German, French and Italian influences, it comes as no surprise that Switzerland is a melting pot of diverse cuisines. Of course, there are also Swiss favourites we’ve all come to love including fondue, raclette, rösti, birchermüesli, chocolate and cheese. However, it’s the regional specialities that really make Swiss cuisine unique. In French-speaking Romandie, there’s the unfortunately named, but wonderfully flavour-filled cholera, a vegetable tart. Or seafood lovers will find heavenly dishes of powan, perch and trout. In Appenzellerland, you have to try their famous gingerbread pictures, while in St Gallen go for the OLMA bratwurst, but make sure you hold the mustard and allow the meat’s full aromas to shine. There’s more meat on show in Bern with the Berner Platte of various meats including beef, smoked pork and beef tongue, smoked belly of pork, smoked pork chops, pork shoulder, knuckle of pork, tongue sausage and pigs ears or tails. There’s also Haselnuslebkuchen (hazelnut gingerbread), but don’t be fooled by the name, it’s quite unlike any gingerbread you’ll have tried before. In Basel you’ll be treated to Basler flour soup, cheese and onion tart, suuri Lääberli (sour liver strips) and sweet Basler Leckerli (more gingerbread). Zurich is famed for its wafer biscuits including Hüppen and Offleten and the sweet theme continues with Zuger Kirschtorte, an indulgent cake featuring kirsch and plenty of butter cream. Cheese is the main them of Central Switzerland with Älplermagronen (macaroni, potatoes, cheese, cream and roasted onions) being the most famous. Then there’s Luzerner Chügelipastete (a vol-au-vent filled with sausage meat balls in a white sauce), stews such as Hafenchabis (lamb or pork stew with cabbage) and Stunggis (pork and vegetable stew). In Ticino, chestnuts are the stars, served hot in winter, as well as in bread, pasta and praline chocolates. Small Italian macaroons called Amaretti will satiate the sweet tooths and can be washed down with Gazosa, a sweet fizzy lemonade. Grison dishes are rich and hearty and include Pizzoccheri (stew with buckwheat pasta, vegetables and cheese), Capuns (rolls made of chard or cos lettuce and filled with Spätzle dough), Maluns (grated potatoes mixed with flour and cooked slowly in butter), Churer meat tart and Birnbrot (a thin layer of bread dough filled with a mixture of fruit, nuts and dough). An ideal way to take in the wine, food and scenic highlights of this wonderful country is by following the Grand Tour of Switzerland. A self-drive and rail extravaganza, it takes you to the country’s most famous destinations and reveals hidden gems off the beaten track. 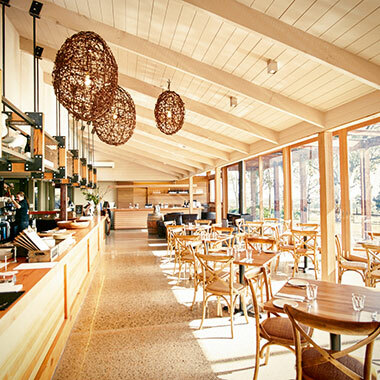 The Mornington Peninsula is a haven for holiday makers hungry for food, wine and adventure. Here’s our list of the best places to visit in the region.